After the tragic events in Paris last week, the continuing debate over internet privacy and encryption gets a prominent and poignant voice. I've tried a few. I loved the X-LARGE watch face but missed the slick 'Rolex' second hand. Loved the anaologue faces but miss the ease of seeing the time in a format easy to understand without having to engage my brain at all (I have to sign in and out of a lot of buildings). on the Apple watch companion app on the iPhone go to: settings>clock>city abbreviations then change LON to either a 'space' (for nothing) or an  symbol. You can create a keyboard shortcut to create these. I use apl. Feel free to just copy the symbol from here to create your own. I'm sure I'll change it again but surely that's the point of having a smart watch?!?! thanks to reddit for the heads up! This is a guide you can follow to optimise your phone for power saving, you may have to make a few sacrifices but there are some tips that you can follow and it won't make any difference to you... Well, other than increasing battery life on your phone. Apple are anticipating the rush at it's stores and the fact that the Watch will have some unique ways of interacting with a tiny display. Working for a client this week I ran into and old foe; Windows SBS. This means that you won't be easily moving over users using 'Migration Assistant' or 'Parallels Transporter'. You'll be doing everything manually and it'll take A LOT of time! As you can imagine, we run into this all the time and every time it is a real pain in the *bum*. Thankfully there is a great free program to help migrate domain user profiles to local profiles that makes this whole process so much easier. Great little tool that then allows you to run 'Migration Assistant' normally. Perfect! Microsoft release office 2016 for Mac, for FREE. Microsoft has been paying a bit more attention to Apple recently, what with the iPad apps and such. Seems they're still interested in the Mac platform too! Looks like some decent upgrades to the ageing office suite and with Apple taking out quite a few features in the latest iWork release looks like Microsoft might be on the money here. Fair play! 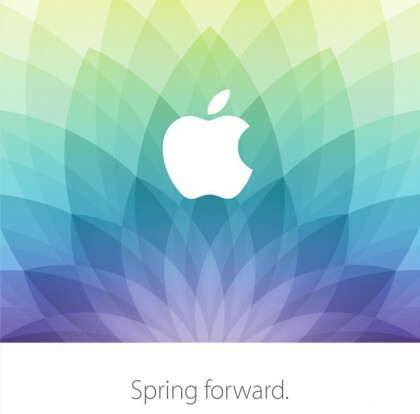 Looks like the  Watch is set to be officially announced. Maybe we might see something else? I'd be surprised if they'll have an event for a product they've already announced! At the very least it would be good to get some pricing! Great post from Daring Fireball about the pricing of the Watch.